signed lower right. Oil on Canvas. ​​​​​​​​​​John Dowd's paintings depict the structural features of the landscape in a realistic and often stark manner, producing a profound sense of isolation in the viewer. 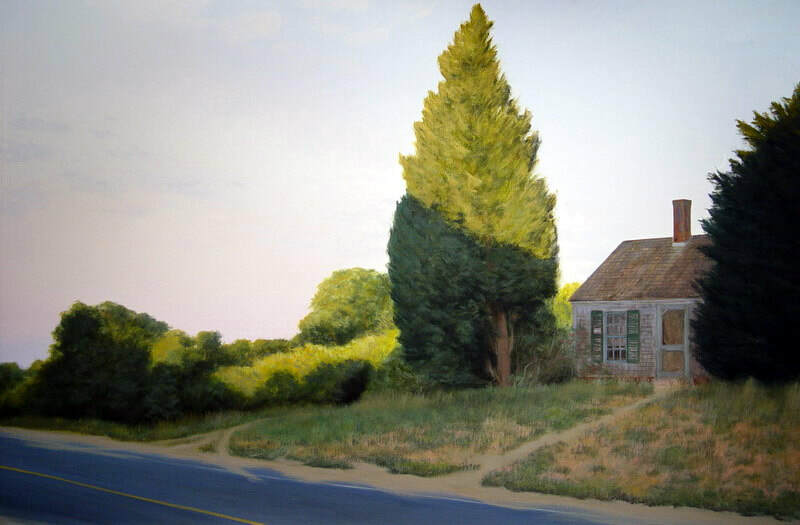 Always painted without people, many of Dowd's Provincetown and Truro works are evocative of Edward Hopper's timeless landscapes, using intense light to infuse human emotion into his landscape and building scenes.